Additional Info: HiFi, external seating. 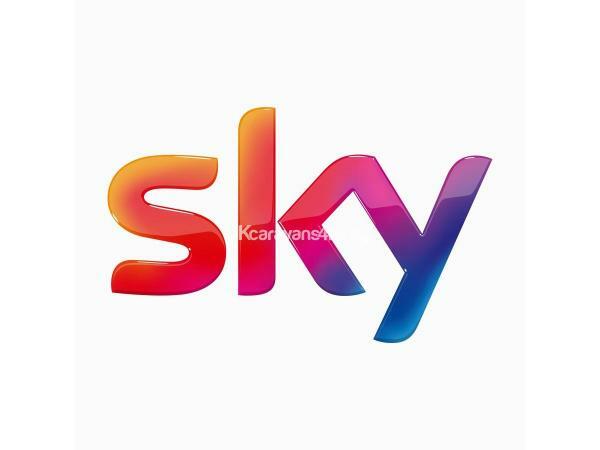 DVD's sky tv. 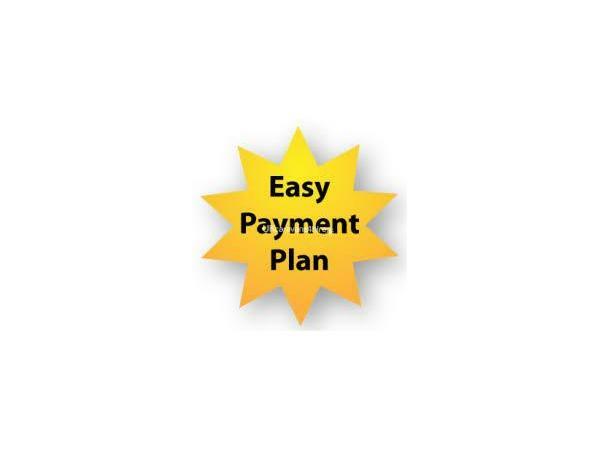 £50 deposit to secure holiday booking, terms & conditions then posted to address specified upon completion and returned holiday is allocated to guests. as requested. 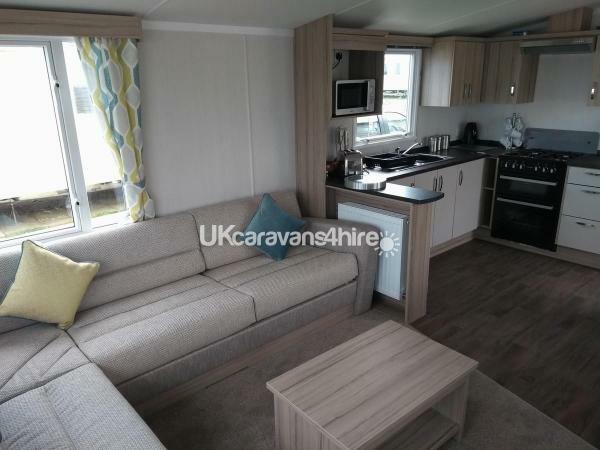 New 2019 Swift Loire is located on the Oak Meadows area at Primrose Valley and has private parking space next to the caravan. 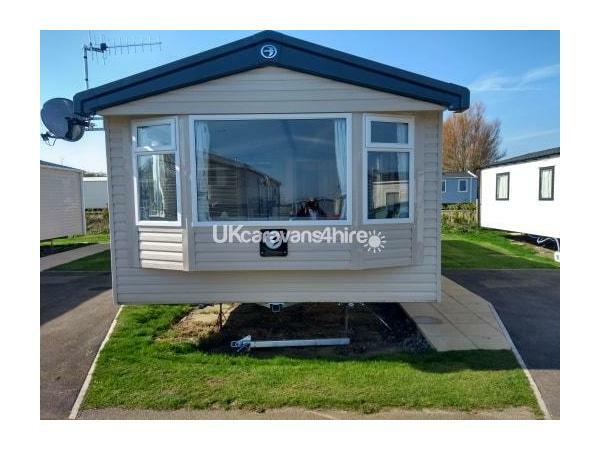 The caravan is located only a short walk to all the on site facilities. 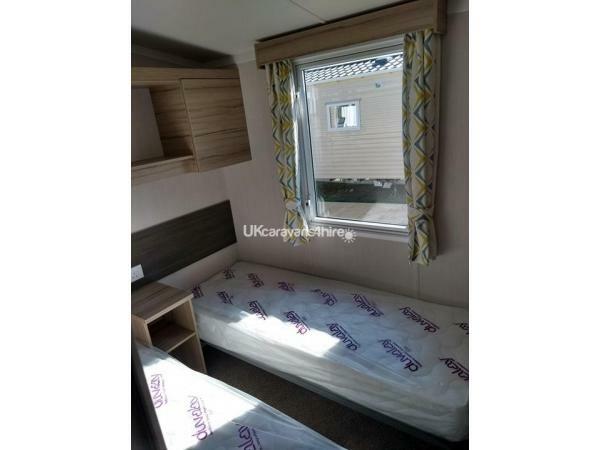 This lovely caravan also has full gas central heating and double glazing throughout. 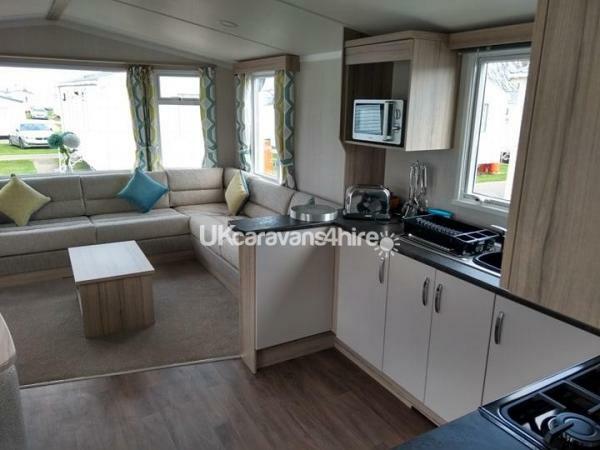 The caravan has a large, open-plan living area and kitchen which is fully equipped with all your holiday essentials. 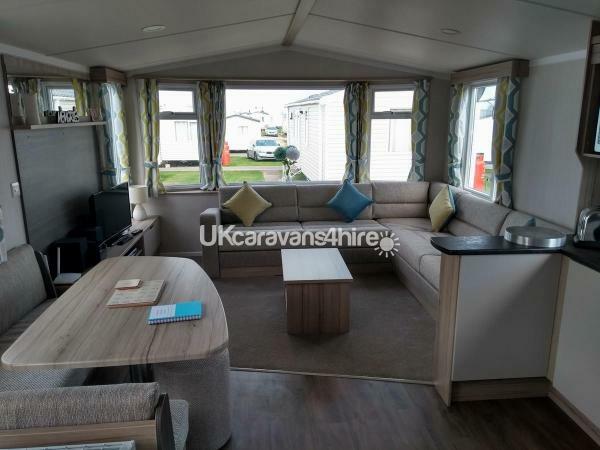 The lounge has a large seating area, a 32’ TV with SKY TV, radio and many more homely extras. The kitchen is complete with all cooking essentials such as pots, pans, toaster and microwave, floor to ceiling fridge freezer. 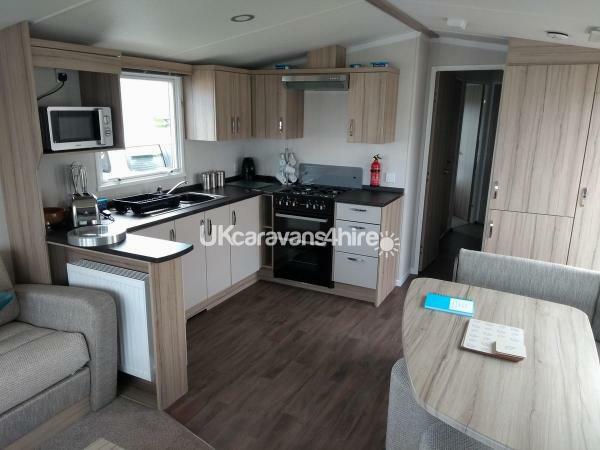 For your safety the caravan has smoke and carbon monoxide alarms, fire extinguisher and escape windows throughout the caravan. Gas and electric are all included in the price, all bedding is included and beds are freshly made on the day for your arrival. 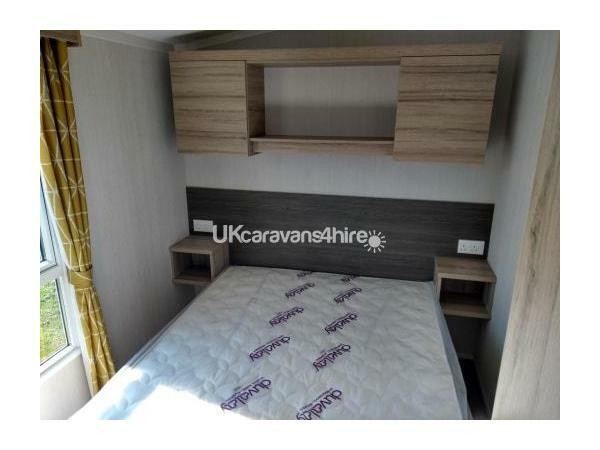 The caravan has 3 Bedrooms (1x double and 2x twin) , it sleeps 6 guests in total. We do provide fresh bedding for all our guests booked in. The caravan has a family bathroom and separate WC for convenience. Check In for the caravan is from 2:30pm on your arrival date. On the caravan we have a key safe box which is where we keep the keys. The code to access this box is sent on your arrival date, Check Out is 10am on your official departure date. 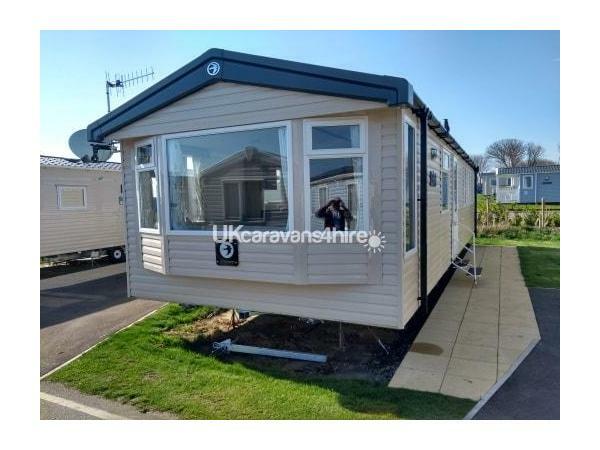 Please note that Funworks passes for the complex on site are not included in the rental cost of our caravan unless agreed and are to be bought from reception if you wish to use the parks facilities. 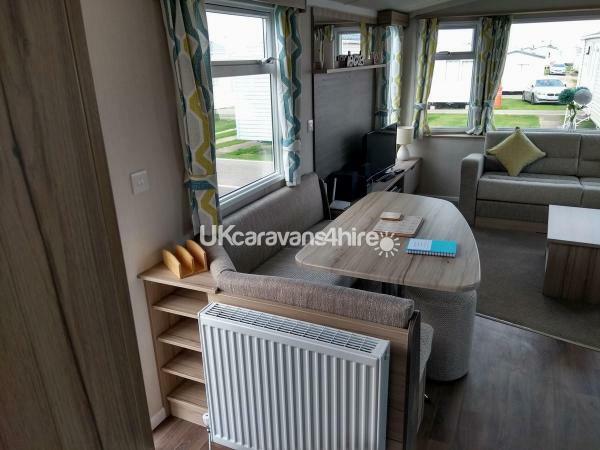 Passes are not needed to stay in the caravan itself. A £50 deposit secures your holiday with the remaining balance payable four weeks before your holiday start date. We only do bookings for Monday - Friday, Friday - Monday, Friday - Friday or Monday - Monday. Please contact for special dates as we can be flexible. WE charge a £50 bond that is refundable after van is checked, this is refunded within 24 hours. This park has everything needed for a fun filled holiday for all ages, this 5 star Haven park has plenty to do on it to keep you busy. It has access to a lovely beach, fun fair, go karts, boating lake with fishing laser quest, mini golf, bike hire, swimming pools, bars serving traditional pub food, fish and chip restaurant and takeaway, Papa Johns pizza takeaway, on site Shop for those last minute essentials that you might have forgotten, launderette and children's play areas. To access the pools with slides and splash areas, also other activities such as sports activities like football coaching. You will need to purchase the fun passes you will also have access to the arcade with mini bowling. You will need the passes to have access to the entertainment complex which has 2 entertainment rooms both with bars, Entertainment, cash bingo, live bands and tribute acts. Children are welcome in either room. Also throughout the day there is a children's daytime entertainment which is run by the Haven staff. Some additional activities you will have to pay for to access them. Should you wish to leave the park and venture further a field Primrose Valley is ideally situated to reach Filey, Scarborough, Whitby also Bridlington each with its own attractions. You also have theme park Flamingo Land with rides, a zoo. There is also your local bus service which comes onto the site near the main reception visiting places like Filey and Scarborough Bridlington if you wish to leave your car behind for the day. Filey, Scarborough have plenty of shops to go and look around, they have supermarkets for those last minute shopping items that you forgot. If shopping is your thing then look no further than Scarborough or Bridlington they both have plenty of shops to look at. Sarah thank you for the fantastic review, i am more than happy to have you come back anytime. You are a pleasure to have in my van and i really hope we see you again soon, until next time take care.